There are so many wonderful paleo-friendly and gluten-free products out on the market these days that sometimes I forget how difficult it was when I first started eating gluten-free back in 2008. The options in the stores were pretty limited, restaurants had absolutely NO CLUE what gluten was, and reading labels was misleading and downright confusing. Especially as someone new to the idea of “wheat-free” and “gluten-free”. It was difficult to figure out or even understand what things had gluten, wheat, or some derivative of barley and rye in them. There were lots of mistakes, lots of failed experiments, but ultimately that struggle landed me where I am today. I chose to become a Natural Foods Chef because I wanted to help others navigate the tricky terrain of food intolerance. God bless the people out there who are doing their best to develop products that are gluten/soy/dairy/industrial oil/sugar-free for all of us who love the convenience of a pre-made sauce, snack, or treat but hate the affliction that often comes with processed and packaged foods. Asian-style flavors can be difficult to attain with out the typical soy sauce-based sauces. That’s why I love Coconut Secret’s Teriyaki sauce which is not only gluten-free, but also soy-free making it paleo compliant and a great option for marinating your favorite protein. It adds that extra layer of salty/sweet without venturing into dangerous dietary territory. Just coconut sap, sea salt, ginger, onion, garlic and cayenne make up this delicious sauce. 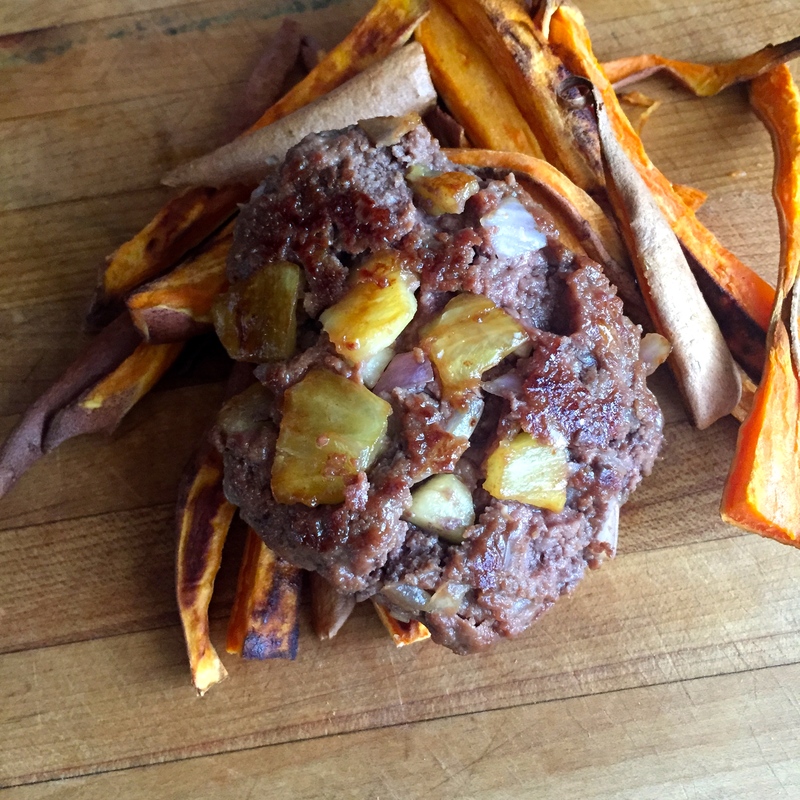 Go grab some from your local grocer and try some fancy burgers at your next summertime BBQ! In a medium bowl, combine all ingredients well. On a heated grill or cast iron skillet, cook the patties about 3-5 minutes each side.